Building Online Relationships: How Do We Do It? One of the most important success factors for your blog is going to be how you go about building relationships. Getting people to check in with you regularly is crucial if your blog is going to thrive and flourish. It can seem daunting when you first consider how to go about getting a strong following, but the following tips should support you in building up your reader list and reaching your target audience effectively. A blog can stand alone, but if you really want to use it to its best advantage, link it in to other things. Promote it on your service website if you have one, and print the URL on business cards and promotional material. Add the address on the bottom of your e-mail signature to encourage people you make contact with to log in and read what you have been up to. Business is completely dependent on good service, and nothing speaks more powerfully about your commitment to customer service than being polite online. Deal with queries and comments quickly when they come in to you, so that people understand you are responsive and value their input. If you can help people in any way, then do. Consider this an ongoing investment for your business – be proactive with people, and they’ll come back to you when they’re looking for someone to do business with. This has happened to me many times. Someone asks me a question. I spend time answering and they end up being a client. Relationships take two people to exist. This is important to remember when it comes to building up your readership. Ask for feedback all the time on your site, what you have written, and your service. This demonstrates that you are flexible and open to improvements and enhancements in line with the feedback you get from your customers. 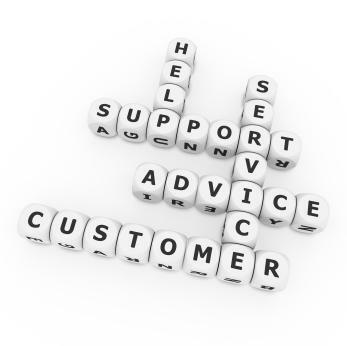 In some ways, feedback will be your most valuable tool when it comes to developing your business, as it provides a form of free consultancy from the people you need to hear from – your service users. Don’t be afraid of criticism – it’s a great mechanism for understanding how you can improve. Welcome negative comments just as you would positive, as they hold the same value in terms of evaluating your progress. Criticism isn’t necessarily being offered out of malice – it could be that something about your blog jars with people, so it’s good to hear that and change things about until you’re satisfied you’ve addressed the issues. This is a no-brainer. Keep your blog regularly updated or people will stop visiting it! Only adding to your blog every now and then is the equivalent of staying quiet in a conversation – it alienates people and suggests that you are not dedicated to your business. Just as in real life, good online relationships depend on you being likable and personable. Basics such as avoiding swearing and keeping away from updates in poor taste are important. Writing with good grammar and clear language is the equivalent of speaking in a nice voice – it makes your blog more readable, and encourages people to engage with your writing. Finally, this is one of the most important elements of blogging. Ask people for input. It can be demoralizing to keep posting on your blog without any input, as it feels as if you are writing for nothing. By asking open questions and inviting comments, you gain reassurance that you have an audience, while gaining lively and interesting input to your blog. Your readers will feel that you value their opinion, and you’ll gain much more satisfaction from a two-way communication process. How do you build on-line relationships? Share your views in the comments below.